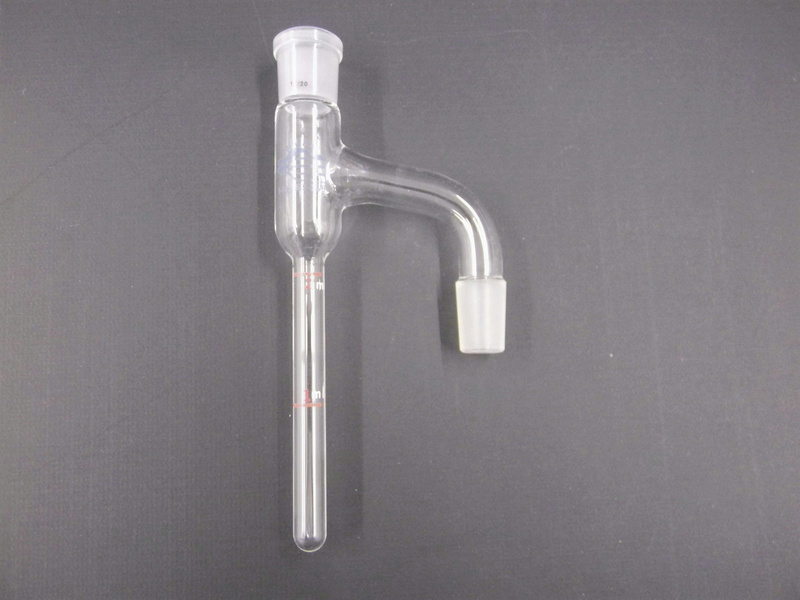 Quark Lab Glassware Distilling Receivers Moisture Test 2 mL Dean-Stark . New Life Scientific, Inc. This is a new receiver that was originally acquired from a US pharmaceuticals lab. There are no visible cracks or chips to the glassware that would hinder its efficacy. Retail price $125 -- Buy now and save. Description: Dean-Stark receiver is used for determining the water content of various materials. 14/20 Tapered Top Joint, 14/20 Tapered Bottom Joint, 2 ML Holding Tube.